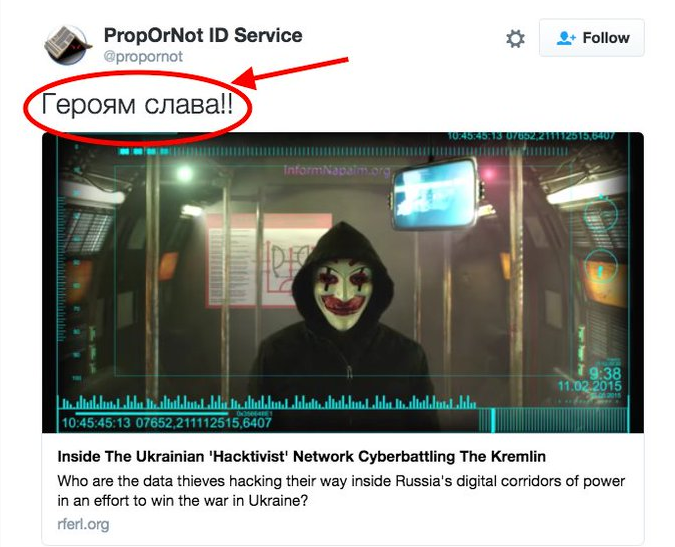 In late 2016, about 200 websites – including Consortiumnews.com – were identified as “Russian propaganda outlets” by the dubious website PropOrNot, hiding behind a cloak of anonymity. Now, journalist George Eliason peels back some of that anonymity in this article originally posted at Washington’s Blog. A little over a year ago, the deep state graced the world with PropOrNot. Thanks to them, 2017 became the year of fake news. Every news website and opinion column now had the potential to be linked to the Steele dossier and Trump collusion with Russia. Every journalist was either “with us or against us.” Anyone who challenged the Russiagate narrative became Russia’s trolls. Fortunately for the free world, the anonymous group known as PropOrNot that tried to “out” every website as a potential Russian colluder, in the end only implicated themselves. Turnabout is fair play and that’s always the fun part, isn’t it? With that in mind, I know the dogs are going to howl this evening over this one. In this article, you’ll meet some of the people staffing PropOrNot. You’ll meet the people and publications that provide their expenses and cover the logistics. You’ll meet a few of the deep state players. We’ll deal with them very soon. They need to see this as the warning shot over the bow and start playing nice with regular people. After that, you’ll meet the NGOs that are funding and orchestrating all of it. How am I doing so far? The image above is the clincher or game winner that supplies the necessary proof up front and the direct path to PropOrNot. 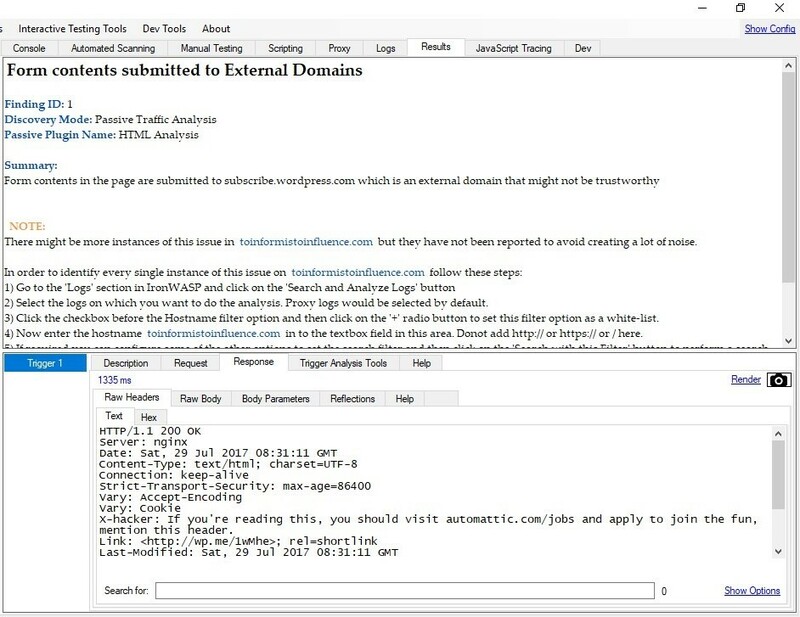 This was a passive scan of Propornot.com showing the administrative dashboard belongs to the InterpreterMag.com as shown on the left of the image. On the right, it shows that uploads to Propornot.com come from InterpreterMag.com and is a product of that publication. James Miller’s bio at the InterpreterMag.com includes Managing Editor of The Interpreter where he reports on Russia, Ukraine, and Syria. James runs the “Under The Black Flag” column at RFE/RL which provides news, opinion, and analysis about the impact of the Islamic State extremist group in Syria, Iraq, and beyond. He is a contributor at Reuters, The Daily Beast, Foreign Policy, and other publications. He is an expert on verifying citizen journalism and has been covering developments in the Middle East, specifically Syria and Iran, since 2009. Miller also works for the U.S. Embassy in Kiev “diplo-page” the Kiev Post. Who are the BBG? The Broadcasting Board of Governors (BBG) is an independent agency of the United States government. According to its website, its mission is to “inform, engage, and connect people around the world in support of freedom and democracy.” Its projects include Voice of America (VOA), Radio Free Europe/Radio Liberty, Radio y Television Marti, Radio Free Asia, and the Middle East Broadcast Networks. The BBG’s bipartisan board was eliminated and replaced with a single appointed chief executive officer as part of the National Defense Authorization Act for Fiscal Year 2017, which was passed in December 2016. The people who were lining up to take senior positions in a Clinton White House believed that President Obama had been too timid in stressing the dangers of overreach and the need for restraint, especially in the Middle East, and it was time for a more hawkish approach, as embodied by Clinton. Parry goes on to say that at the forefront of this propaganda campaign was the Atlantic Council, a think tank associated with NATO. Their main goal was “a major confrontation with nuclear-armed Russia,” Parry warned. So, to make sense of all this, most of the people listed would have held cabinet positions in a Hillary Clinton presidency. If the Interpreter is a project of RFE/RL then the decision to go ahead with PropOrNot would have to go across their desk. That would include, possibly, then Secretary of State, John Kerry. The unasked question of why would a U.S. Government Agency do this needs to be addressed. All the people listed above were actively working for Clinton to get her elected and throw Donald Trump’s campaign off the rails. The purpose of PropOrNot has been to trick people into demanding that freedom of speech be rolled back. This was/is to be done by destroying fact-based media. If you read further, the entire plan is laid out starting from 2015 when it started coming together. That little statement about the free speech rally says it all. It’s something that would hardly be noticed unless you were looking for it because it is part of the metadata. The Boston ‘Free Speech’ Rally was billed by the social networks and MSM as a fascist rally. It was actually a Free Speech Rally. What they learned is that with just a little nudge, they can make you demand nationalist repression. Nice going Boston! Hey, is this starting to sound a little conspiratorial? If it is, we need Russkie hackers with Guy Fawkes masks to make this work. They have to admit to changing international politics through hacking in 2016, belong to a foreign country, code in Russian, and use spear phishing techniques to lure people in. Let’s not forget that they also have to work for some form of Intelligence. Most importantly, they have to work with and influence all of the people above. They will definitely impact U.S. foreign policy toward Russia. Let’s raise the stakes even more. The hackers have to answer to whoever is funding a lot of the illegal and immoral activities. In a follow-up article, I have reason to ask if they were given access to United States Government Top-Secret Secure Servers. I’m not kidding. According to Donna Brazille, the Democratic Party servers were hacked multiple times and the hacking didn’t stop until December 2016. At this juncture, we should be able to agree that Seth Rich leaked the information to Wikileaks. But, now we are talking about other hacks. In the above-linked article, these hacker specifically say their favorite route is spear phishing email accounts. If so, this would mean that approval was given at the highest levels – presumably former Secretary of State John Kerry – for Ukrainian intelligence hackers to have access to servers inside a U.S. Government Agency because of PropOrNot and the Atlantic Council’s reliance on the hackers. “On 29 January 2016 in Washington, U.S.A., Ukrainian World Congress (UWC) President Eugene Czolij and Atlantic Council President and CEO Frederick Kempe officially signed a Memorandum of Agreement to renew the cooperation between the UWC and the Atlantic Council, which began in September 2014. The Ukrainian World Congress is represented in the U.S. Congress by the Ukrainian Caucus headed up by ISIS supporter and Nazi cheerleader Marcy Kaptur. Her Ukrainian Caucus represents people with political positions that scared Adolf Hitler in WWII. The obvious takeaway is that a lawsuit is a bare minimum that needs to happen. People need to be investigated for crimes against the state. When we take a closer look at who had potential access to top-secret servers, which will become painfully clear. Through their efforts to quash free speech and paint anyone who questions government propaganda as Kremlin stooges, these people are trying to tear the fabric of society into pieces. At the very least, they have earned a good tarring and feathering. When you look at the financial end of this a lawsuit in the billions would barely touch it. In early 2015, almost two years before most people took the idea of censorship seriously, I documented its inception. As often happens with many of the biggest stories of our times, I stumbled onto it by accident. Using these techniques information sources can be manipulated and those that write, speak, or think counter to the objective are relegated as propaganda, ill-informed, or irrelevant. This “Disinformation Charter” for responsible behavior (Ministry of Truth?) he describes is to fight “conscious deception” can only be weighed against how he describes Propaganda. “The word is frequently used to describe any news emerging one’s opponent,” according to Harding. Harding’s connections in media are huge. Through his friend Matthew Armstrong, Harding had access to and the ear of the board of the Broadcasting Board of Governors, staffed by a who’s who of network and radio broadcast, print media and shortwave CEOs and heavy hitters. They are the ones behind RFE/RL. Where this wasn’t feasible, they set up hack and harass attacks at various publications to get them to stop publishing hard-hitting journalists. This still hasn’t been entirely effective because it caused publishers to dig in and harden their internet properties instead. The softer more indirect approach Harding pushed in March 2015 quickly developed into the unified media strategy he wanted for the U.S. and Europe. Control the information and don’t allow contradicting information or news into the media stream. When it does get in, call it propaganda.